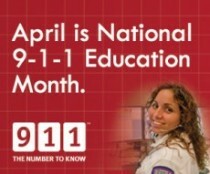 Have you recently called the Brown County 9-1-1 Center for assistance? Anyone who makes a call into the Brown County 9-1-1 center is considered our customer. In order to continually keep our services at a high level, we would appreciate a few moments of your time to answer the following survey. Please fill out the question below and add any comments you wish. We are not soliciting input regarding police, fire or rescue. We are solely interested in your input regarding the 9-1-1 service you were provided. Thanks for your time and feedback.